Thomas Bates was born in about 1570. He worked as a servant in the household of Robert Catesby. Bates had many duties including purchasing animals for the estate. 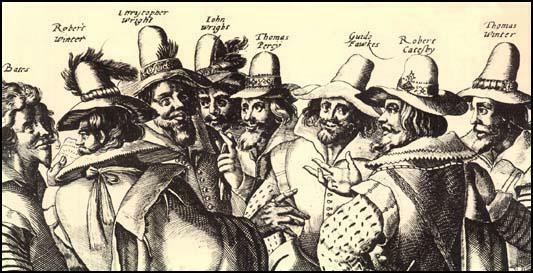 In 1605 Catesby devised the Gunpowder Plot, a scheme to kill James and as many Members of Parliament as possible. Catesby planned to make the king's young daughter, Elizabeth, queen. In time, Catesby hoped to arrange Elizabeth's marriage to a Catholic nobleman. Over the next few months Catesby recruited John and his brother Robert Christopher Wright, to join the conspiracy. Bates was captured in Staffordshire on 12th November. Found guilty of treason he was executed on 30th January, 1606. On the scaffold Thomas Bates claimed that his "affection for his master had caused him to forget his duty to God, the King and Country."